Business owners often have to lead their sales teams despite the fact that they don’t always understand exactly how to do it. Often times, they’re simply ignorant about what to do. It’s absolutely true, though, that business owners who don’t like sales can improve sales performance. 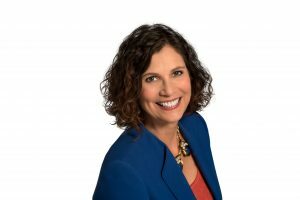 On today’s episode of The Sales Evangelist, we’re talking with Alice Heiman about the challenges business owners face when selling their product or service and how business owners who don’t like sales can improve sales performance. Alice leads the Alice Heiman, LLC team, which helps companies drive sales growth and bring about sustainable change that leads to growth. Not all business owners hate selling, but many of them do. The truth is that the person who leads the company is the sales leader. We have to help them understand their role in sales. Most people who start a company didn’t do it because they loved sales, and though the entrepreneurial enthusiasm is necessary to start a company, sometimes it leads us down the wrong path. We assume we’ll just build a great company and people will automatically buy, but the vast majority of business owners have no sales experience. They don’t understand strategy or tactics. Whether it’s an early stage or a more mature company, many business leaders are abdicating their role as sales leader. The most successful companies have leaders that are very involved in sales. Even if you intend to hire a sales leader, unless you understand sales, it will be hard for you to hire the right person and then coach that person to lead well. If you’re pursuing a company that is a billion-dollar or a multi-billion-dollar company, you can’t send a lone salesperson to capture the entire company. You have to think of your team as a whole. What role does the salesperson have? What role does the sales leader have? How will the subject matter experts support the effort? What role will the IT people have? In order to be successful, you have to get everyone positioned properly, which means that the business owner must take a role as well. Begin by addressing the simple question of how you feel about sales in your company. In many cases, you’ll discover a lot of negative perceptions of sales. Often the sales leader must address a negative mindset, and begin by talking about the future of the company and how sales will help the company achieve it. Then you’ll determine where you are right now. Are you still doing the selling yourself? Have you hired salespeople to help you with sales? Are you ready to hire a sales manager to manage your salespeople? Do you have a sales organization built? Once we know what the sales organization should look like when it’s complete, your company can begin building toward that. Sales has changed tremendously, but most business owners haven’t seen it yet. They are stuck with the notion of selling as they were previously sold to. In B2B complex sales, you are a smaller company selling to a much bigger company with a long sales cycle and lots of complexities. You must know your market first. If we know of companies that we want to sell to, we have to get smart really fast. The other option is to make lots of phone calls trying to set up appointments, but you’ll likely burn your people out. Instead, take the companies you want to do business with and divide them among your team. Give them teams within the same industry so they can learn the industry and its language and do basic research. It’s important to learn the right things rather than just whether they are a viable prospect. What initiatives are they pursuing this year? What are they posting this year on social media? Can you determine their priorities? Then figure out how to marry the information you found with your product or service. Realize, too, that the one lead you connect with may very well block you from other decision-makers. Because they’ve been tasked with this project, they want to look like the hero, so they block you from interacting with others. Work to find 9 or 10 people who could be involved in the sale. Be a smart, savvy problem solver because you can’t solve problems if you don’t understand what your prospect’s problems are. Information, especially about large companies, is all over the place. Read annual reports, press releases, the president’s message, and read about products your prospect is launching. Then think about your customer’s customer. How does your prospect serve its customers? 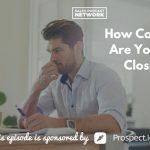 Who does your prospect sell to? How does your prospect help its customers meet their goals? If I come prepared, and I know your products and services and your industry, you’ll choose to work with me. If you’ll approach sales as solving problems, perhaps it won’t feel so icky anymore. As a sales leader, focus on your salespeople so they can focus on your customer. If you have happy people who know what to do, if they love their product, and if they are well-trained, they will serve your customers well. You can connect with Alice on LinkedIn, Twitter, or Instagram, or you can email her or check out her website and her blog.